I don't remember when my passion for art began. As far as I can remember I always loved art. Guess I have always been an artist. My grandfather was an artist and I used to spend lots of time with him when I was a child. Seeing him create, sharing and participating in his magic world - "our" magic world, are some of my best memories. Since then, I never stopped creating art throughout my life. 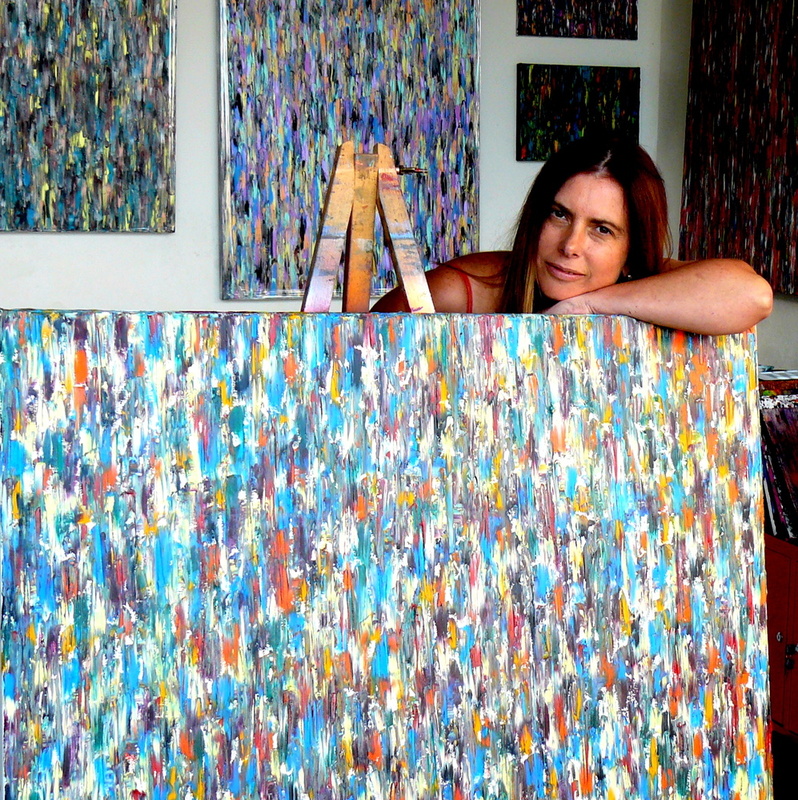 Carla Sá Fernandes (1971) is a painter living and working in Esposende, Portugal, specialized in large scale colorful abstract paintings. 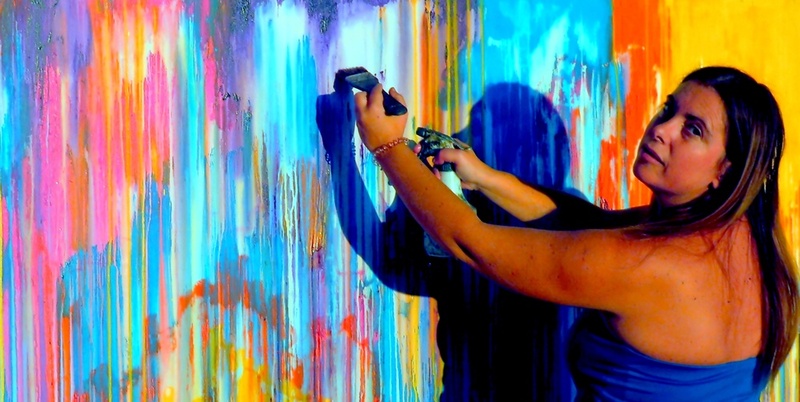 Until recently, she was a full time chemical engineer and a part-time artist. 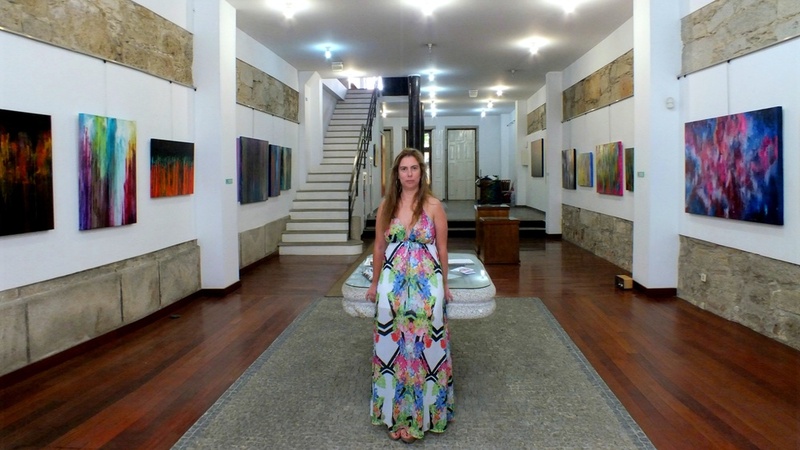 She decided to become a full time professional artist a few years ago, exhibiting national and internationally and participating with several galleries. Although she had a practical painting course from the College of Fine Arts of Oporto University, Portugal, she still considers herself a self-taught artist. 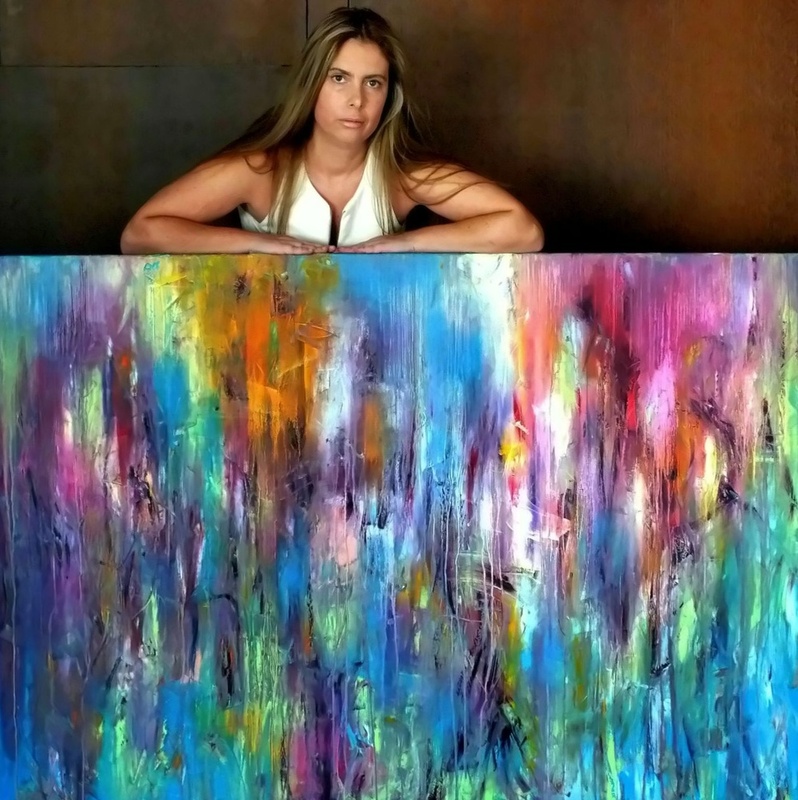 Her work is sold to collectors worldwide, namely in Argentina, Austria, Australia, Belgium, Brazil, Bulgaria, Canada, Chile, Czech Republic, Germany, Hungary, India, Ireland, Italy, Japan, Jersey, Korea, Lebanon, Luxembourg, Malaysia, Mexico, Monaco, Netherlands, New Zealand, Norway, Poland, Portugal, Puerto Rico, Russia, Spain, Switzerland, Turkey, the United Kingdom, United Arab Emirates and the United States of America. She was considered a “Best selling artist” of 2015, 2016 , 2017 and 2018 and one of the Top 5 artists to invest in 2017, by the online marketplace for original art Artfinder. She was one of the Bestsellers of 2018 on Saatchi Art.